Olive Oil in Texas? I thought they only had bubbling crude, black gold, Texas tea…. 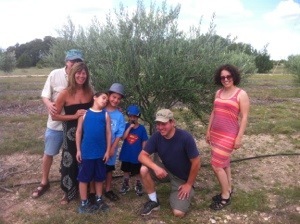 On a recent trip to Texas, while staying here, I took a day trip to a real organic olive oil ranch with my family. My Aunt and Uncle, who both live in Austin, adopted a little olive tree. We stopped by the ranch to check on it since Texas is having a drought. It turns out all these beautiful trees are being irrigated regularly and the hope is they will start producing fruit by next year. Texas Hill Country Olive Oil Ranch is located in the Austin hill country and there is also a thriving olive oil agriculture in California. 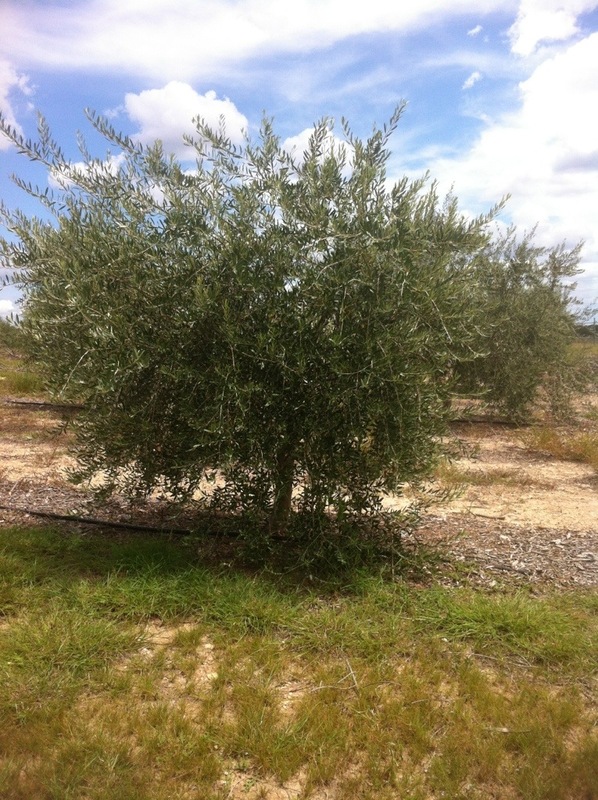 The climate in Austin is hot, hot, hot in the summer but olive trees love that. Olive trees are one of the toughest trees around and they can handle abuse. One of the son-in-laws of one the Gambini owners gave us a tour of the orchard and explained the process of raising olive trees. These trees need to be pruned very often to facilitate fruit production. If they don’t get pruned they get lazy and grow all over the place like snakes, and then they don’t produce much fruit. We learned that the USA regulates the production of olive oil to ensure a top quality rancid free product. I was always under the impression that European olive oil producers were under the same strict regulations. Not so, said our guide. He is convinced the best product stays in their respective countries and lower quality oil gets exported. Well, one taste of the Californian/Texan olive oil and I was convinced too. A a high quality olive oil causes a mild burning sensation when it hits the back of your throat and it has an ever so slight bitterness to it. While we visited Texas Hill Country Olive Oil Ranch my uncle treated us all to olive oil gelato. What a delicacy! We sampled vanilla, chocolate and rosemary with different flavoured balsamic vinegar. My favourite for the ice cream was blackberry but the fig went well with the kettle chips. 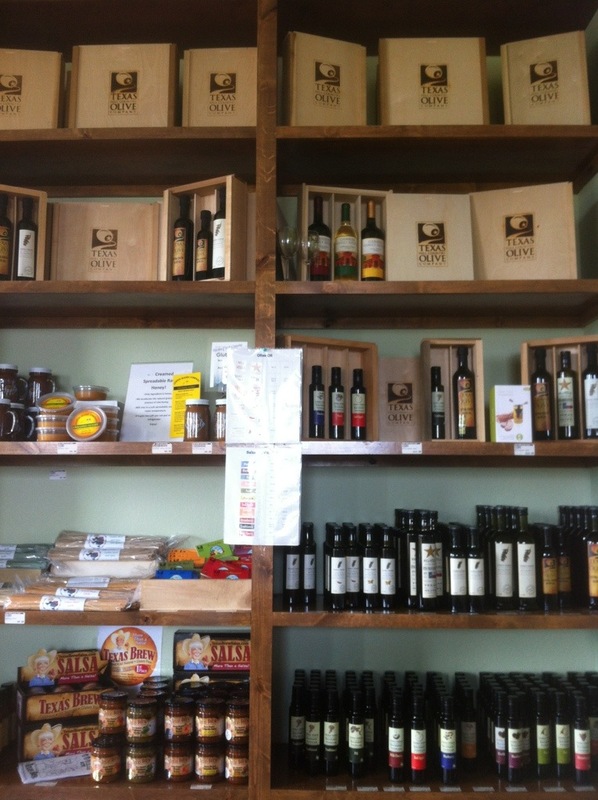 To find out more about Texas Hill Country Olive Oil click here. Posted on September 1, 2013 March 3, 2014 by montrealnutrition	This entry was posted in Cooking, Food and Drink, Health, Kitchen Category, Nutrition, Nutrition stuff and tagged dietician, dietitian, Loblaws, McGill Dietetics and human nutrition, Montreal, montreal dietician, montreal nutrition, nutritionniste, Texas Hill Country Olive Oil, Texas Olive Ranch. Bookmark the permalink.